Discover Copenhagen, the resplendent capital city of Denmark! Strolling is a way of life in this cultural hub of Denmark, as reflected by its Strøget, the longest and oldest pedestrian-only shopping street in Europe. Amble in the different parks, promenades and waterfronts and admire the tall rigged ships moored in the canal. Visit Copenhagen’s landmarks such as Trivoli Gardens, the Little Mermaid Statue, the Amalienborg and Christiansborg palaces, Rosenborg Castle, Frederik’s Church and the many museums that this wonderful city offers. Copenhagen is also a living city. Outdoor concerts light up Trivoli Gardens, the annual Jazz Festival embodies the role that Jazz music is playing in the city’s culture. Enjoy all kinds of music with the Trivoli Concert Hall, or the Copenhagen Opera House! This city hotel is situated very close to Kongens Nytorv metro station, approximately 800 m from the hotel. From here, guests will be able to reach the city centre, where a variety of restaurants, bars and shops can be found. The main sites of touristic.. The Pea Blossom B&B is a well appointed bed & breakfast in a key central Copenhagen location, just 10 minutes' walk from Copenhagen's Central Station, Tivoli Gardens, the Town Hall Square, walking street Stroeget and the popular district Koedbyen..
. Overview. Absalon Hotel and Absalon Annex share the same entrance and public areas. The hotel comprises a total of 76 functional rooms. 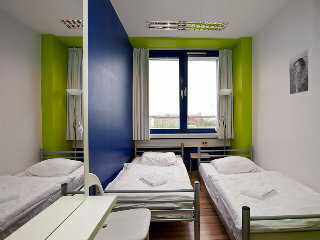 All rooms have a telephone, color TV and sink, but the shower and toilet facilities are shared and based in the hallway.. This enchanting and modest establishment is conveniently situated in the heart of the Danish capital, Copenhagen. This attractive property is a perfect base for all those who wish to explore the city and its numerous attractions such as the majestic Christiansborg.. 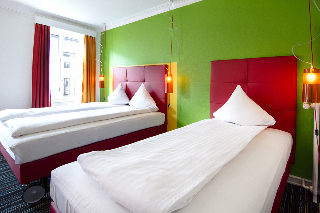 This hotel is located in the trendy Versterbo business district, close to the famous Tivoli. A wide range of shops, glamorous cafes, and restaurants can be found in the immediate vicinity. Moreover, the central railway station and the famous Copenhagen.. This unpretentious Hostel is situated in Copenhagen. 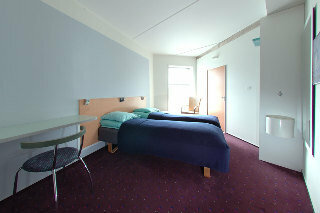 The establishment comprises a total of 253 snug units. This establishment was built in 2017. Steel House Copenhagen includes Wi-Fi internet connection in all public areas and bedrooms. This accommodation.. This ultramodern city hotel is situated in the heart of Copenhagen, close to Tivoli and Copenhagens main railway station. Sightseers wont want to miss the Little Mermaid statue at Langelinie, and the National Museum and Ny Carlsberg Glyptotek museum are..
Hotel CabInn Metro Copenhagen has meeting and conference facility where the guests can host their business events for up to 200 persons. Guests can explore the city and its area attractions during leisure.CABINN Metro is located in one of Europe's fastest.. 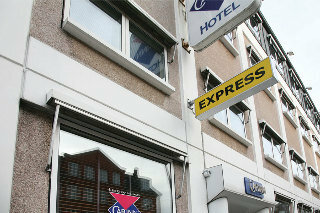 The popular hotel Cabinn Express is quietly located in the borough of Frederiksberg, only steps away from the Forum concert hall and the Forum metro station. Shops and bakeries can be found in the vicinity. Famous attractions of Copenhagen such as City..